It is bordered by Rhode Island to the east, Massachusetts to the north, New York to the west, and Long Island Sound to the south. As of 1 January 2018, the population of Connecticut was estimated to be 3,588,683. 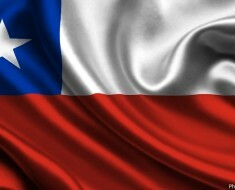 It is the 29th most populous state in the United States; and the fourth most densely populated of the 50 United States. Connecticut is the 48th largest state in the United States in terms of total area with 14,357 square kilometers (5,567 square miles). 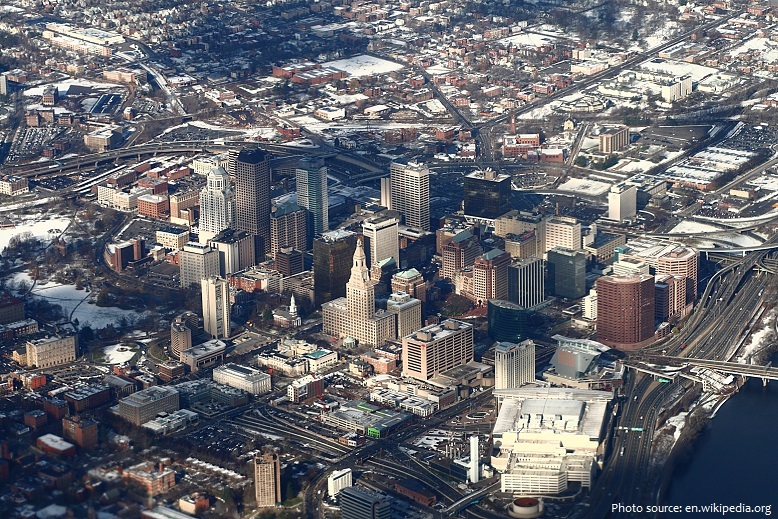 Hartford is the capital of Connecticut. 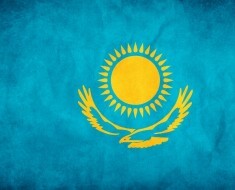 It is the second largest city in the state. Hartford is nicknamed the “Insurance Capital of the World”, as it hosts many insurance company headquarters and insurance is the region’s major industry. 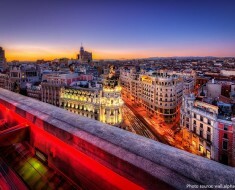 The city was founded in 1635 and is among the oldest cities in the United States. Connecticut is 177 kilometers (110 miles) long and 113 kilometers (70 miles) wide. The state is subdivided into three physiographic provinces: the Western Uplands, the Central Lowlands, and the Eastern Uplands. 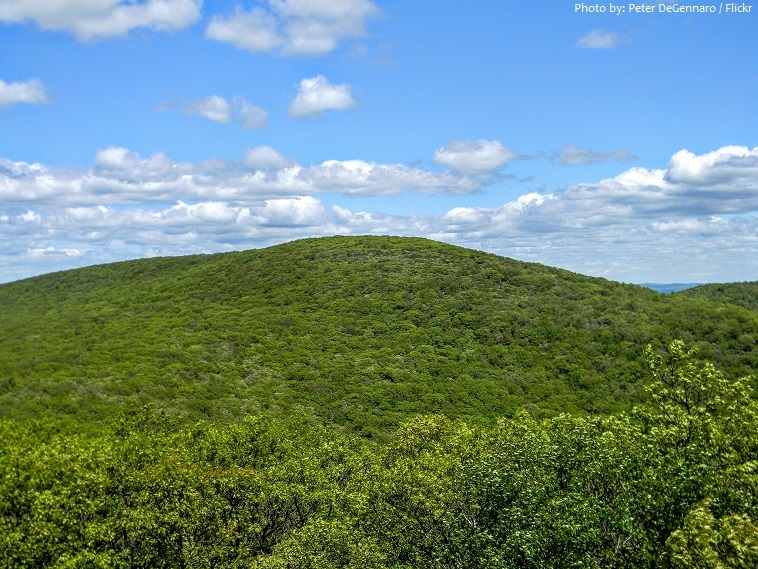 The Western Upland, which covers roughly the western third of Connecticut, is filled with steep hills, including the state’s highest point, Mount Frissell [photo below] at 748 meters (2,454 feet). The Central Lowland is different in character from the other two regions. It is characterised by ridges and valleys that were created by volcanic eruptions between 150 and 200 million years ago. The Connecticut River, the state’s longest, runs southward through the lowland to empty into Long Island Sound. The Eastern Upland resembles the Western in being a hilly region drained by numerous rivers. Their valleys come together to form the Thames River, which reaches Long Island Sound at New London. Elevations in this area rarely reach above 400 meters (1,300 feet). 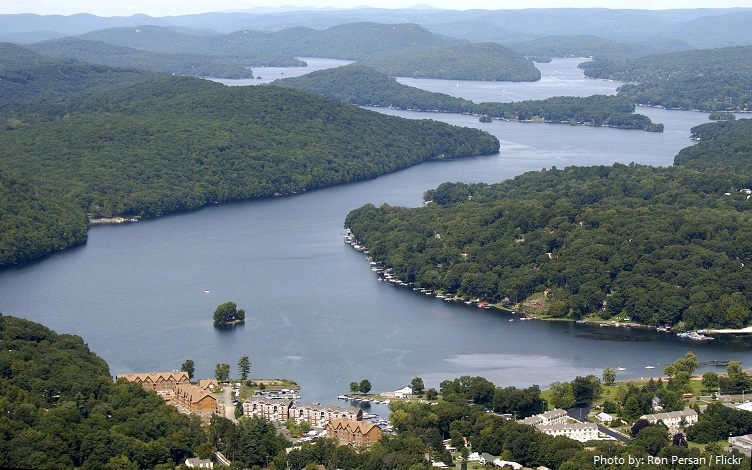 Numerous small lakes and ponds are found in Connecticut, with the largest being Lake Candlewood [photo below], one of the largest man-made lakes in the USA. The coastline of Connecticut is approximately 154 kilometers (96 miles) long. Connecticut has 2 national parks and 65 state parks. 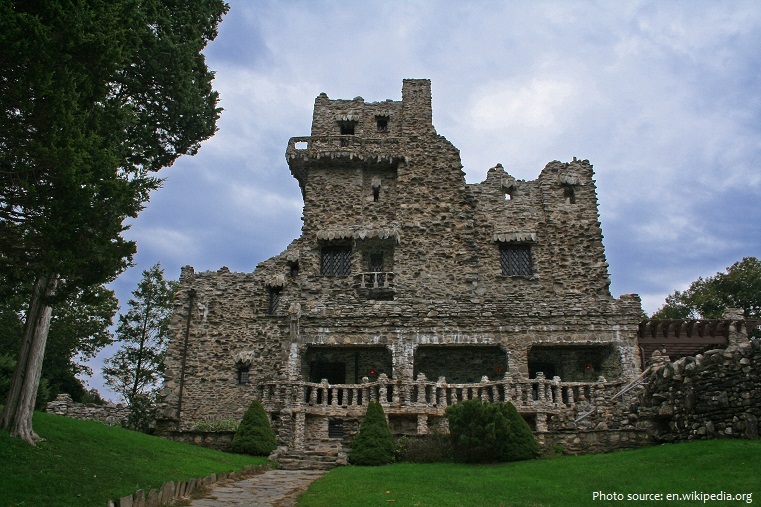 Gillette Castle State Park straddles the towns of East Haddam and Lyme, sitting high above the Connecticut River. The castle was originally a private residence commissioned and designed by William Gillette, an American actor who is most famous for his portrayal of Sherlock Holmes on stage. Gillette lived at this estate from 1919-1937. The estate was purchased by the state of Connecticut in 1943 for a price of $5,000. Today, the park and castle comprise one of the state’s biggest tourist attractions, drawing roughly 350,000 visitors a year. 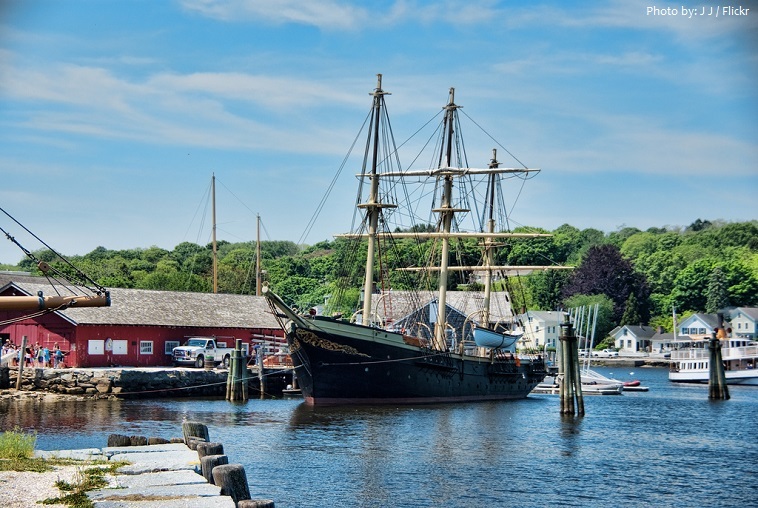 Mystic Seaport is the largest maritime museum in the United States. It is notable for its collection of sailing ships and boats and for the re-creation of the crafts and fabric of an entire 19th-century seafaring village. It consists of more than 60 historic buildings, most of them rare commercial structures moved to the 8-hectare (19-acre) site and meticulously restored. 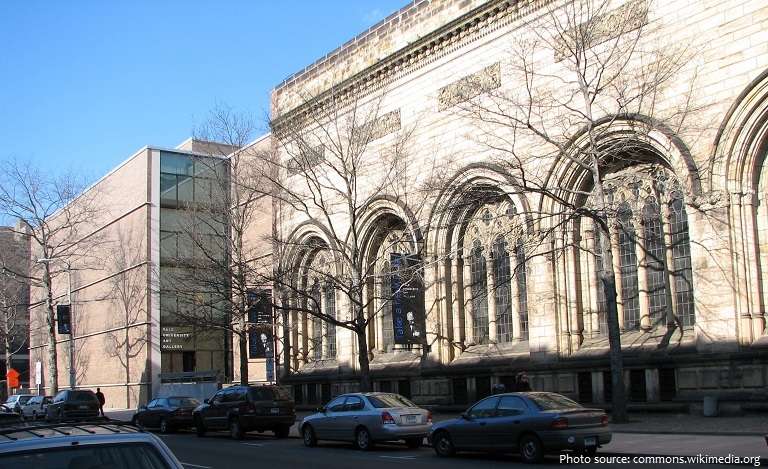 The Yale University Art Gallery houses a significant and encyclopedic collection of art in several buildings on the campus of Yale University in New Haven, Connecticut. Although it embraces all cultures and periods, the gallery emphasizes early Italian painting, African sculpture, and modern art. It is the oldest university art museum in the western hemisphere. The gallery was founded in 1832. The Mark Twain House and Museum is consistently rated among the best historic houses in the world, and is a National Historic Landmark. 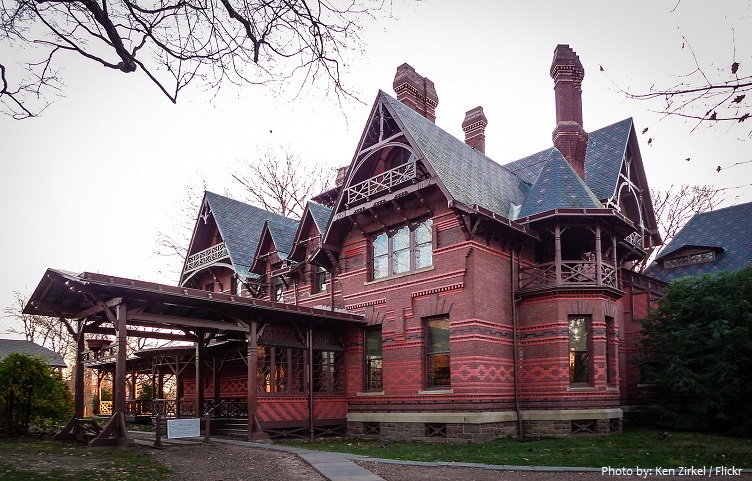 It was designed by Edward Tuckerman Potter and built in the American High Gothic style. Samuel Clemens, also known as Mark Twain, lived here with his wife and three daughters from 1874-1891, and it was here that Twain wrote his beloved major works, including Tom Sawyer and Huckleberry Finn. 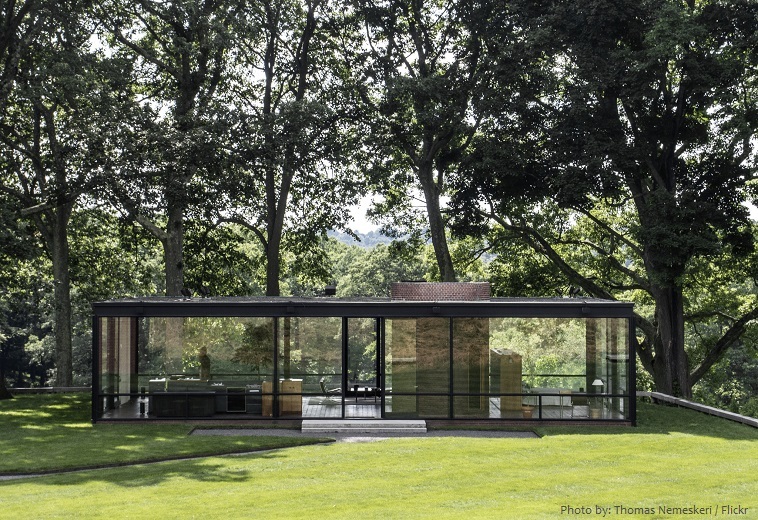 The Glass House is a historic house in New Canaan, Connecticut, designed by Philip Johnson in 1949 as his residence. The building’s minimalist structure, proportions and geometry made it an influential project for modern architecture of the time. It is a great example of early use of normally industrial materials such as steel and glass in home design. Foxwoods Resort Casino in Mashantucket, Connecticut is the second largest casino in the United States (after WinStar World Casino in Oklahoma). 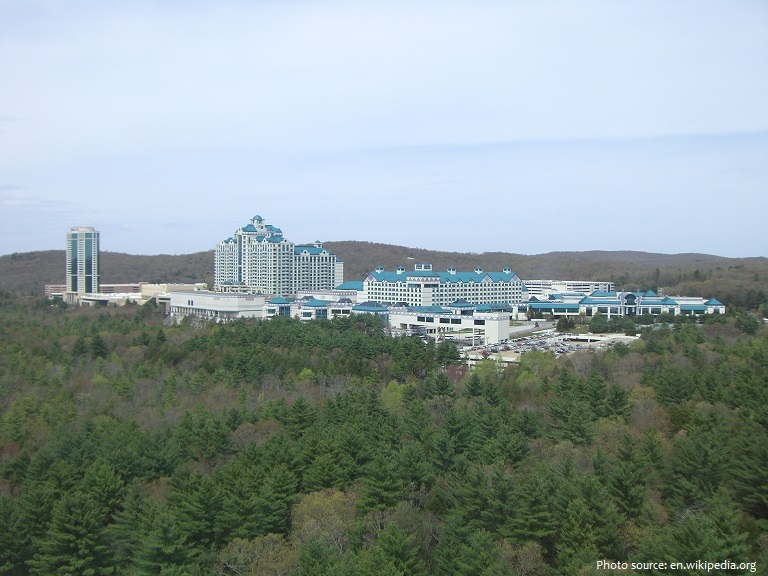 It was founded in 1986 by the Mashantucket Pequot Tribe as a high-stakes bingo hall on their reservation. 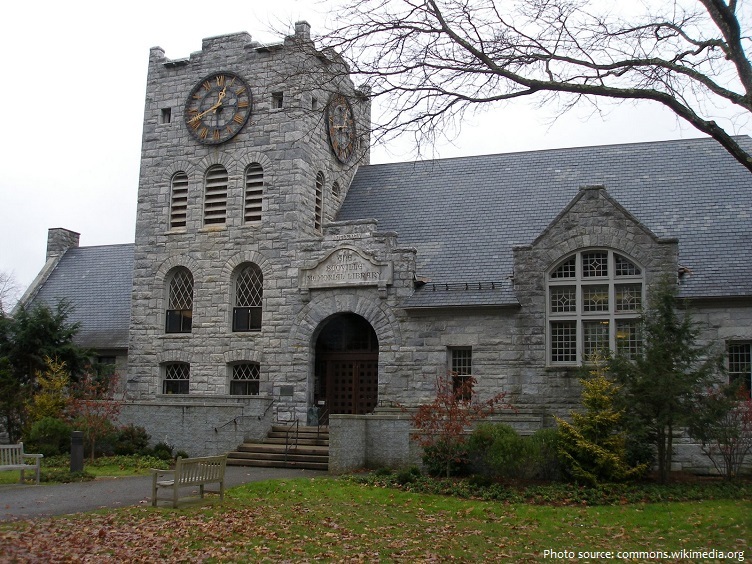 Scoville Memorial Library is the public library of Salisbury, Connecticut. 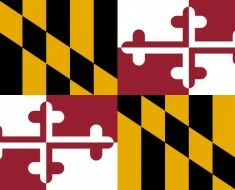 Established in 1803, it was the first in the United States open to the public free of charge. The first people came to the area that’s now Connecticut more than 10,000 years ago. The Connecticut region was inhabited by multiple Indian tribes before European settlement and colonization, including the Mohegans, the Pequots, and the Paugusetts. The first European settlers in the Connecticut area were the Dutch. 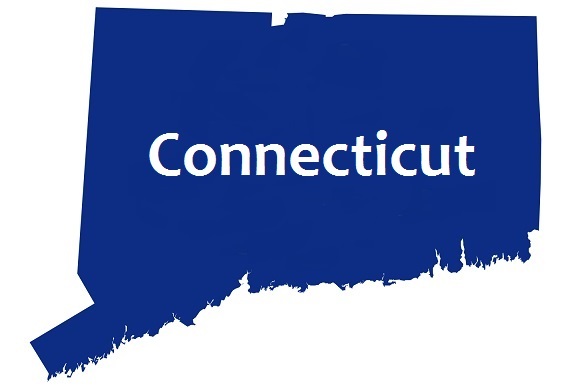 The U.S. state of Connecticut began as three distinct settlements of Puritans from Massachusetts and England; they combined under a single royal charter in 1663. This colony was one of the Thirteen Colonies that revolted against British rule in the American Revolution. Connecticut ratified the U.S. Constitution on January 9, 1788, becoming the fifth state. From 1703 to 1875, Connecticut had two capitals; sessions of the General Assembly met alternately in Hartford and New Haven. The word “Connecticut” is derived from various anglicized spellings of an Algonquian word for “long tidal river”. Known as the “land of steady habits” for its political, social and religious conservatism, the colony prospered from the trade and farming of its ethnic English, Protestant population. 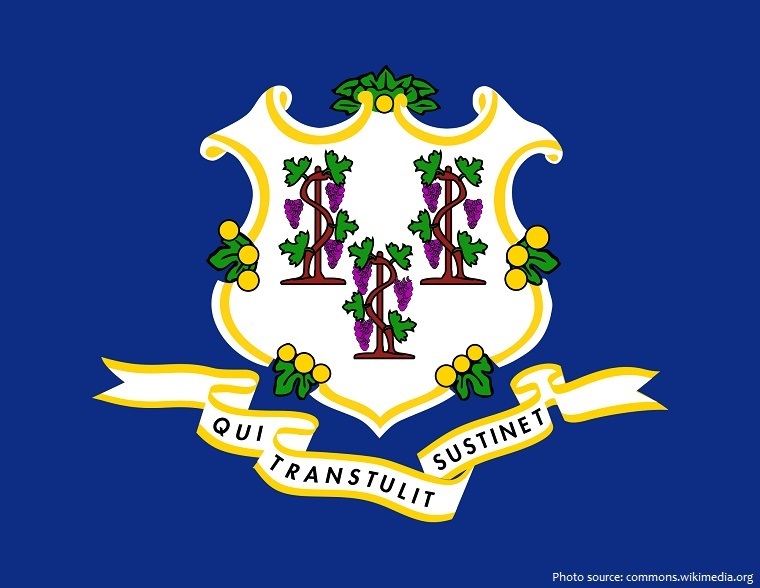 Connecticut was officially nicknamed “The Constitution State” by the Connecticut General Assembly in 1959. 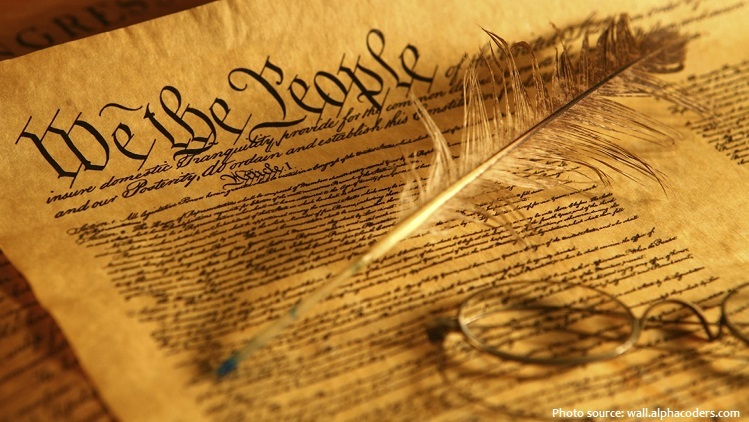 It’s believed that ideas for the writing of the Constitution of the United States were drawn from the first constitution of Connecticut (“The Fundamental Orders” of 1638-39). The Charter Oak was an unusually large white oak tree growing on Wyllys Hyll in Hartford, Connecticut. According to tradition, Connecticut’s Royal Charter of 1662 was hidden within the hollow of the tree to thwart its confiscation by the English governor-general. 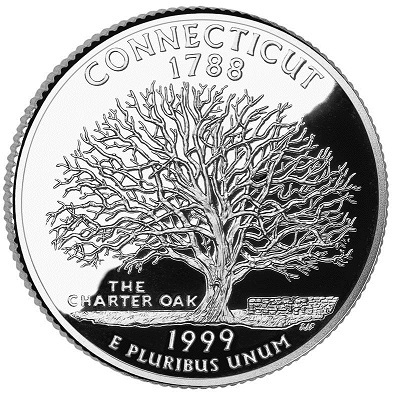 The oak became a symbol of American independence and is commemorated on the Connecticut State Quarter. In 1935, for Connecticut’s tercentennial, it was also depicted on both a commemorative half dollar and a postage stamp. The home of Eli Whitney and Samuel Colt, Connecticut was a leading manufacturer of guns and other arms. First medical diploma in the United States was granted by Yale University in 1729. The Hartford Courant is the largest daily newspaper in the U.S. state of Connecticut, and is often recognized as the oldest continuously published newspaper in the United States. It began as a weekly on October 29, 1764, started by Thomas Green. The first telephone book was issued in New Haven, Connecticut, on February 21, 1878, and featured only 50 names. According to the Web sites of both the Connecticut state government and the Greater New Haven Convention and Visitors Bureau, students invented the frisbee at Yale in 1920. College students discovered that the empty pie tins could be tossed and caught, providing endless hours of game and sport. Connecticut was the first state to pass a speed limit law back in 1901. This law limited the legal speed of motor vehicles to 12 mph in cities and 15 mph on country roads. The USS Nautilus, the world’s first nuclear submarine, was constructed in Groton, Connecticut, between 1952 and 1954.